It is simple and arresting. Quite peaceful really, and it got us wondering about where it was taken, and why. 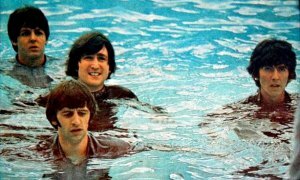 After a bit of online research we think we can confirm that it was taken during the filming for the Beatles movie “Help!”, released in 1965. 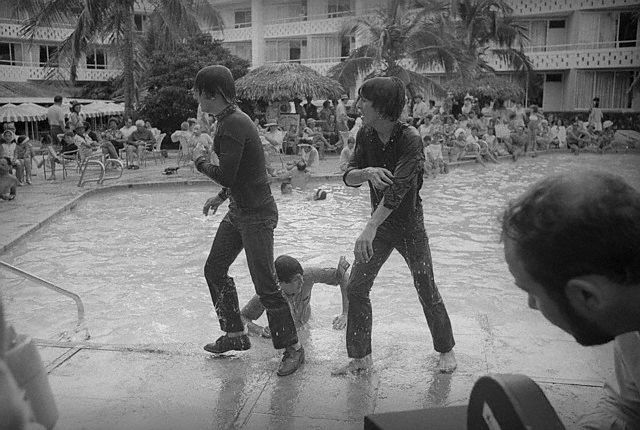 In the film there’s a very brief scene – shot at New Providence in the Bahamas – where the Beatles, after being chased by the bad guys, end up in the swimming pool of a resort hotel with all the guests looking on as they emerge wet, bedraggled and fully-clothed from the pool. 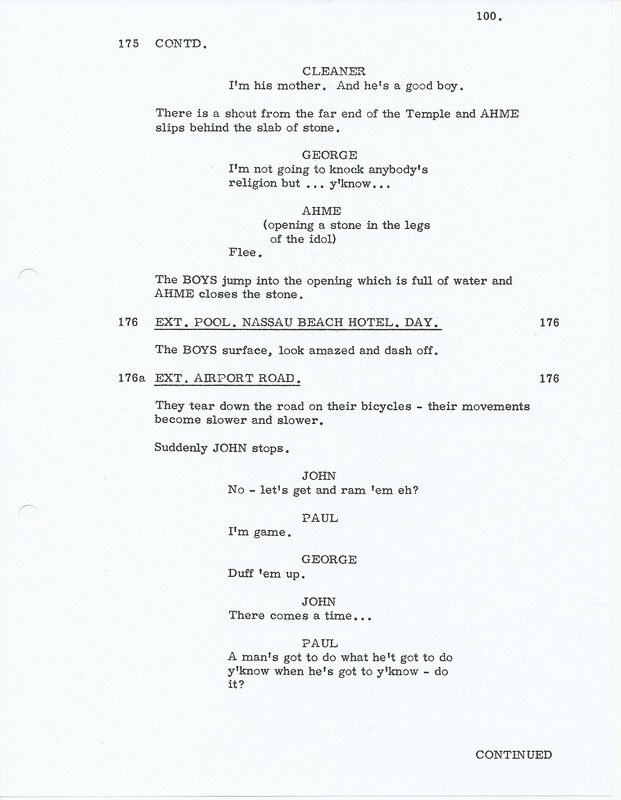 Interestingly, in 2007 Martin Scorsese wrote a short appreciation of the film “Help!” for the book that comes with both the standard and the deluxe DVD box set re-issue of the film. 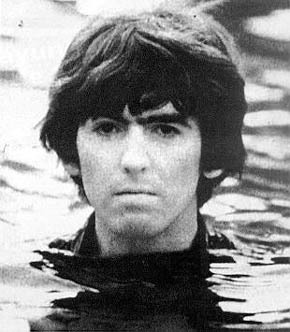 Perhaps that’s where he came across the striking image of George for his latest project? This entry was posted in Beatles, Beatles Books, Beatles Collecting, Beatles Music, Beatles related DVD, George Harrison and tagged Beatles, Beatles Books, Beatles Collecting, George Harrison, Help!, Living in the Material World, Martin Scorsese, Music by beatlesblogger. Bookmark the permalink. 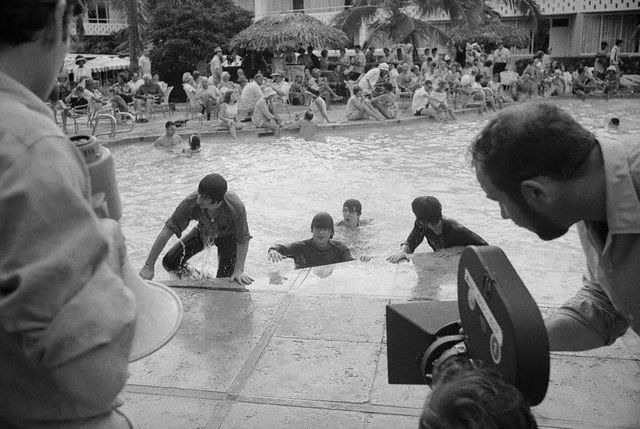 My parents were vacationing in the Bahamas n February 1965, and staying at the same hotel where the pool scene was shot. 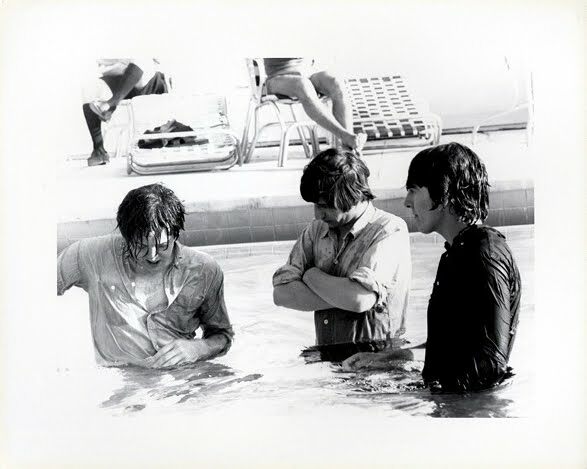 My father took “home movies” of the filming. 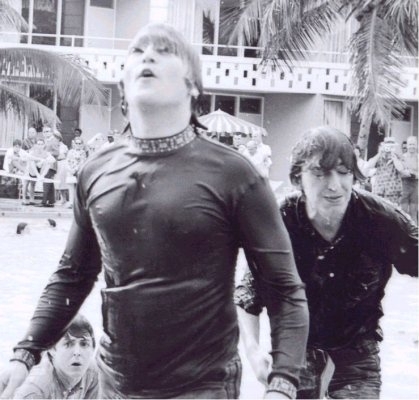 John rode a bike in the pool and George thumbed his nose at my father! I showed the 8mm film at school a couple of weeks later. Probably the coolest 3rd grade “show and tell” ever. What an amazing story. If you still had that home movie it’d be a bit of a collectors item now! I have read an article of Scorcese’s interview with Rolling Stone. I’m looking forward to watch the movie. By the by, I have sent you an email three days ago, just as a reminder. 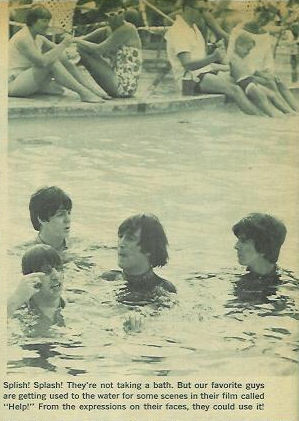 I put information about my Beatles website. Please feel free to reproduce, excerpt or link to our article on your website; please credit and link back to paulfrasercollectibles.com if your do so. 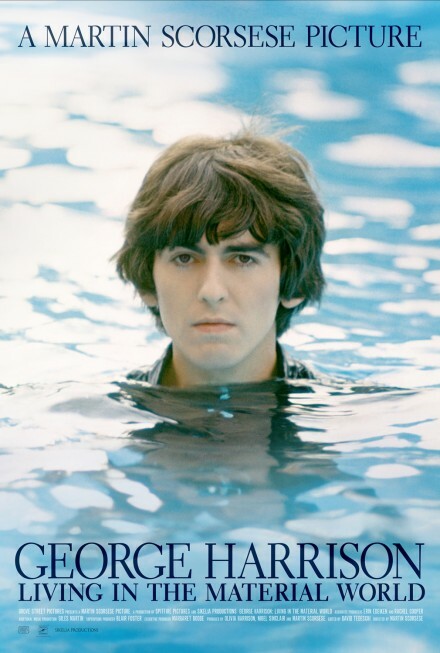 Where can I purchase the photograph of George in the pool? I am really not sure. Anyone else know if t is available to purchase? 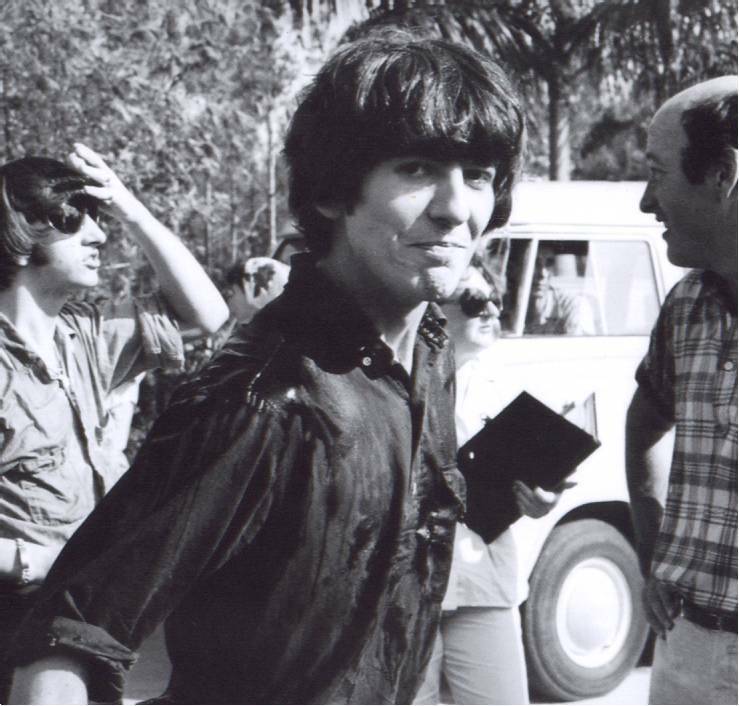 I have a couple of photos of George from Feb 25th posted here. Wow. These are great. Thanks for sending through the link. So good to see “unofficial” candid shots.